Mortgage garbage fees are extra fees added to applications for mortgage loans or within the closing costs of the loan. While lenders will usually assert that these fees are completely necessary in order to process the loan, the truth is that there are some fees that generally do nothing more than add profit to the loan for the mortgage company. Offering mortgage loans comes with risk. Mortgage companies earn profit from the interest paid by borrowers or from bundling several mortgages and selling them to another lender or servicer. But, not every homeowner pays as agreed and some homeowners stop paying altogether, which forces the lender to initiate potentially costly foreclosure proceedings. For this reason, mortgage lenders must be careful about whom they lend to and ensure that they earn a profit to keep their doors open. Mortgage lending can be incredibly profitable despite the potential risks. Mortgage interest paid by homeowners is not the only way lenders can earn a profit, especially if they are willing to charge mortgage garbage fees to borrowers. How do you know if you are being charged a garbage fee? These fees--also commonly referred to as junk fees--usually have impressive titles but turn out to be completely unnecessary for the completion of the mortgage loan. Applying for a mortgage is not as simple a task as applying for a car loan or credit card. There can be a lot more documentation involved that makes the process more tedious. 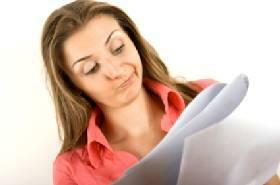 As a result, accepting mortgage loan applications can cost the lender money. Credit reports must be purchased and applications must be reviewed, all of which incurs cost to the lender. As a result, some lenders charge an application fee and will not accept a mortgage application from a potential borrower until the borrower is ready to pay the fee. Should you pay an application fee? Unless you are absolutely sure that you want to borrow money from a specific lender, and the lender happens to charge an application fee, it is a good idea to compare the many lenders that do not charge this fee. The good news is that there are plenty of direct lenders who do not charge any application fees at all. Origination Fee: This is a fee the mortgage lender charges for pulling the loan together. It is usually a percentage of the loan amount. Not all lenders charge this fee. Document Preparation Fee: There is a lot of paperwork associated with a mortgage loan and, as a result, some lenders feel justified in charging a fee for preparing all of the documentation to send to the title company for closing. Escrow Waiver Fee: Most mortgage companies prefer to handle taxes and insurance on behalf of the borrower. When a borrower wants to pay taxes or insurance on his or her own, mortgage companies that allow this may tack on an extra fee for doing so. The thing to know about most mortgage garbage fees is that mortgage company representatives will try to make the fees sound as though the fee is necessary but, when pressed, may find a way to waive the fee altogether. For this reason, it is important to not only recognize these fees, but to also be aggressive about getting them removed.